I love travelling. 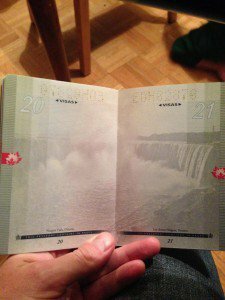 Collecting stamps in my passport is a souvenir that is precious to me and so far I have kept my passports and the memories it contains. But today I more than ever I wanted to be Canadian. The Niagara Falls are amazing either way but illuminated like that there are two feelings in my chest: Jealousy and Awe. This is how the passport looks under normal light. 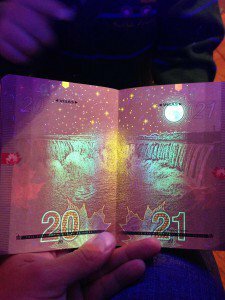 Canadian passport under normal light. Hang in there Chicago It really hurts [comic] Three virtues of a Geophysicist Got geophysics? Posted in Images and tagged Canada, Niagara falls, passport, travel.